Tecnocraft's long-standing proprietary dry carbon fiber production techniques officially debuted in 2007, but for nearly two decades, Tecnocraft’s heritage, and experience has embraced a singular philosophy rivaling Formula One, Military Defense, and Aerospace carbon composite manufacturing. Their philosophy is function over form. Carefully observing the needs of performance enthusiasts needs and motor sports trends, Tecnocraft brand products are specifically developed for the exotic aftermarket niche a chosen challenge by their in-house design team to continually meet the demands and expectations of the most discerning consumers in the automotive industry today. 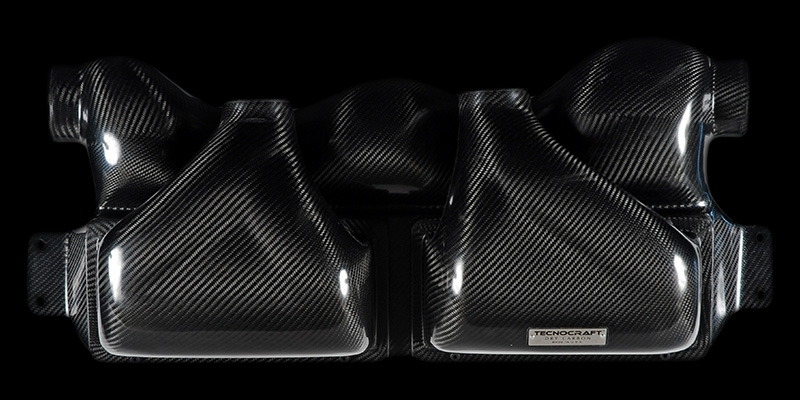 Airflow dynamics and intake efficiency are greatly improved over the factory Lamborghini Gallardo intake air boxes with the installation of Tecnocraft’s complete dry carbon fiber intake system. Furthermore, the mantra of form and function was followed as Tecnocraft incorporated an organic, fluid-composite design that improves the audible characteristics, visual aesthetics and overall horsepower of the Lamborghini Gallardo V10. Tecnocraft Cold Air Intake Systems for the Lamborghini Gallardo maintain the natural curvilinear flow of ingested air as much as possible, reducing as many 90 degree junctions as possible to keep airflow naturally moving forward. Tecnocrafts long-standing proprietary dry carbon fiber production techniques officially evolved into Tecnocraft in 2007, but for nearly two decades, Tecnocraft lineage, heritage, and experience has embraced a singular philosophy rivaling only that of Formula One, Military Defense, and Aerospace carbon composite manufacturing: function over form. 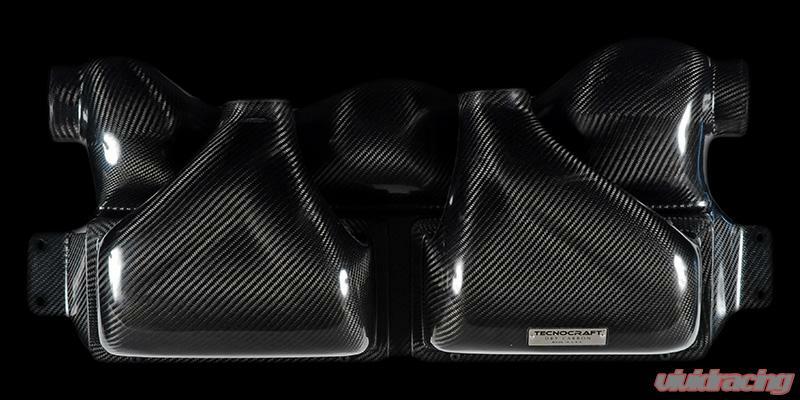 Following careful observation of carbon fiber performance enthusiasts needs and motorsport community trends, Tecnocraft brand products are specifically developed for the exotic aftermarket niche - a chosen challenge by their in-house design team to continually meet the demands and expectations of the most discerning consumers in the motorsport industry today.